1 How long have you been a blogger? Since March 4, 2015. Four months. My friend Marina, from the Happy Digest , did all the hard work in setting it up. 2 At what point do you think you will stop? Hopefully that will be a long time in the future but who knows? I have no plans to give up. Everything depends on good health and having enough time to keep going. 3 What is the best thing? Any positive feedback from fellow bloggers of course. It is a lovely feeling. As for selfish reasons there are a number of freedoms to enjoy being a blogger. Here are some of mine: Building up a unique online presence that is also public. No organized plan or outside pressure, just adding or subtracting bits and pieces like a child with a scrapbook as I go along. Having an outlet for my eccentric/feminine side. 4 What is the worst thing? What do you do to make it ok? My lack of technical computer knowledge, which can be quite limiting. My blog is lacking a few extras because of this. The only things I can do to make it OK are to seek the answers from someone who does know, which means being patient. 5 How long does it take you to find/create pictures for your post? Within fifteen minutes usually. Sometimes what I want eludes me and it can take up to an hour on the search engines before I settle on whatever I like best. 6 Who is your book crush? Any honest compassionate female character over the age of forty can be my book crush. Read too many characters to single one out though. I can get attached for a while but when the book is finished they leave my mind quickly. 7 What author would you like to have on your blog? Anne Rice. She was kind enough to give me a passing mention on Facebook. Twice. (note to self–I should join FB soon) Anyway, I nearly fainted. She seems like one of those mysteriously deep people as well. 8 What do you wear when you write your blog posts? Anything. I seem to be wearing too much blue at the moment, light blue top, midnight blue jacket, trousers are usually black. As for footwear, every blog post has been written in slippers. My ideal blogging clothes would be an all white suit. It would be nice to dress up for the occasion. 9 How long does it take you to prepare? About two days for most book posts, whatever time I have each day until I’ve had enough of it. Non-book posts are usually not as difficult and can be done in two hours. Some of my early ones had much less text so they were just fifteen minute efforts. I never time myself so this is just guess work. 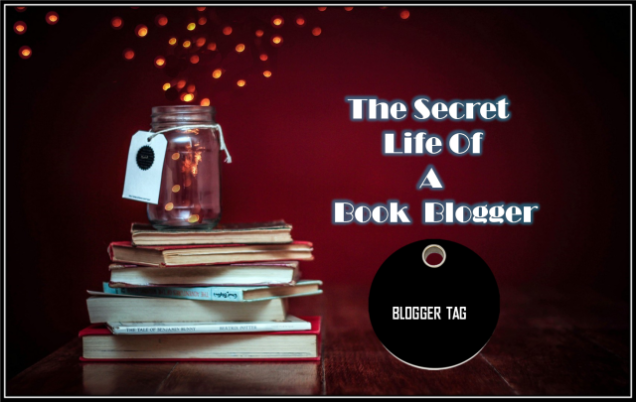 10 How do you feel about the book/blogger community/culture? Virtually everyone I’ve interacted with has been kind and positive. I like the way indie authors support each other in particular. It is very helpful in finding out about new authors and titles etc. 11 What do you think one should do to get a successful blog? I don’t know but I’ll make a few guesses: make sure your blog has plenty of content, network on social media, offer information around problems people are anxious to solve, discuss current affairs that are hot topics? Mostly the things I have not been doing…as long as you feel happy with you’re content, who cares! Thanks for the kind words, Geoffrey, and it was a pleasure reading your post, such great answers! I totally forgot to mention technical difficulties, I have those all the time. Google has been my friend and so have a couple of people along the way, I was lucky. But there’s still a lot I don’t do on my blog because I don’t k now how to. Thank you for the nomination, I loved reading your answers and will go away to think about mine. That’s so kind of you, Babus. You are a lovely lady with a big heart. I look forward to reading your answers too! You’re most welcome Vanessa! Sorry for late reply–my internet connection was down for half a day.